This is not really a conversion article. There isn't any converting to be done to place this Little gem into operation on any frequency from 400 MHz to 600 MHz. AN/TRC-24 radio transmitter T-302/TRC This plug-in consists of two cavities. The first is a multiplier tripling up from two meters. Output in the 400 MHz to 600 MHz range from the multiplier is fed to the second cavity which is a straight-through power amplifier. In the multiplier stage a 4X1 50A tube is used. The final amplifier uses a 4X150G tube. The 4X1 50G tube uses 2.5 volts at 6 amps on the filament. A much better tube to use in the final stage is a 4CX250K with a filament voltage of 6.3 volts at 2.5 amps. This resulted in 500W dc input and a measured output of350W. 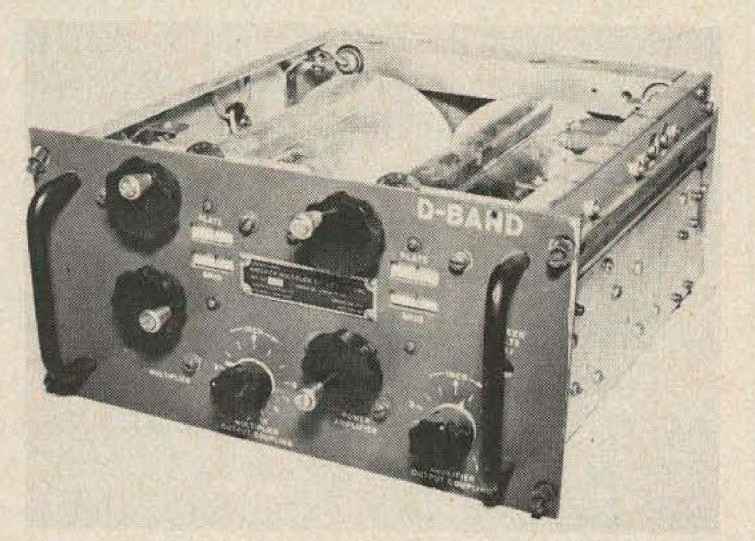 These "D" band heads can be used in many different arrangements. The first approach is not to modify anything but to apply the proper voltages to the ribbon connector on the rear of the unit and feed a two meter signal to the input. The output at 432 MHz will be approximately 150 watts depending on the voltages used and the amount of two meter drive that is used. 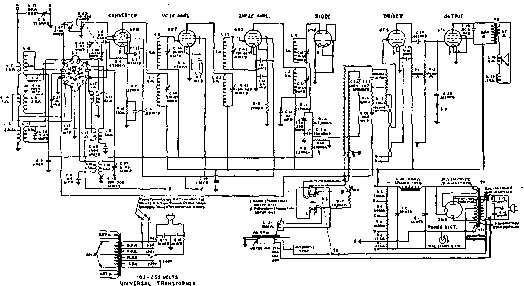 The second method is to use only the power amplifier. Disconnect the con nector P3 from the multiplier cavity and feed your low power FM, AM, SSB or ATV 432 MHz signal into this plug. The final could also be grid or plate modulated with external modulators.